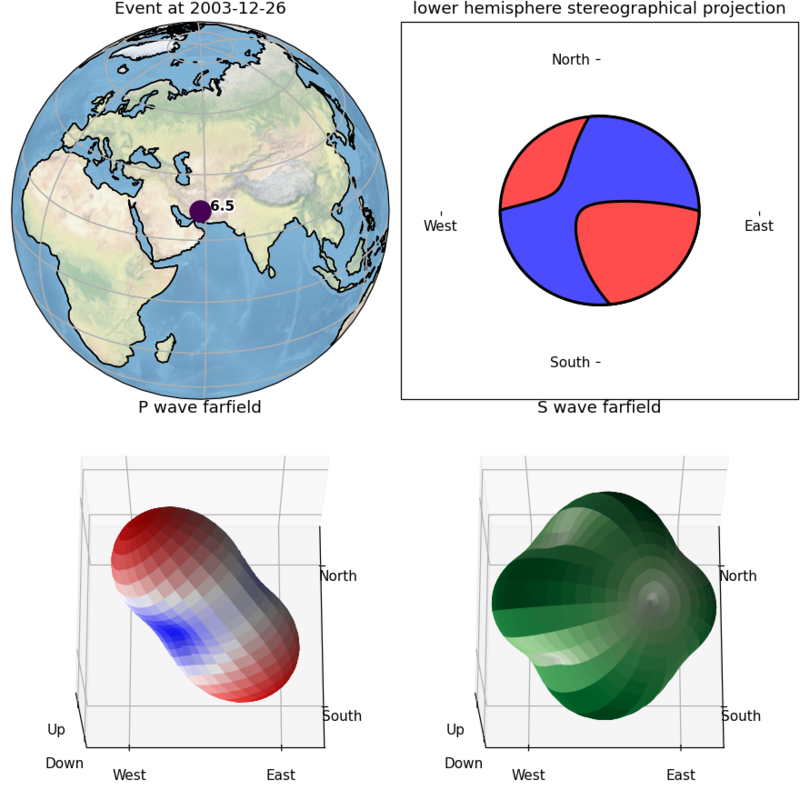 Plot event location and/or the preferred focal mechanism and radiation pattern. subplot_size (float) Width/height of one single subplot cell in inches. show (bool) Whether to show the figure after plotting or not. Can be used to do further customization of the plot before showing it. Has no effect if outfile is specified. outfile (str) Output file path to directly save the resulting image (e.g. "/tmp/image.png"). Overrides the show option, image will not be displayed interactively. The given path/filename is also used to automatically determine the output format. Supported file formats depend on your matplotlib backend. Most backends support png, pdf, ps, eps and svg. Defaults to None. The figure is closed after saving it to file. Figure instance with the plot. 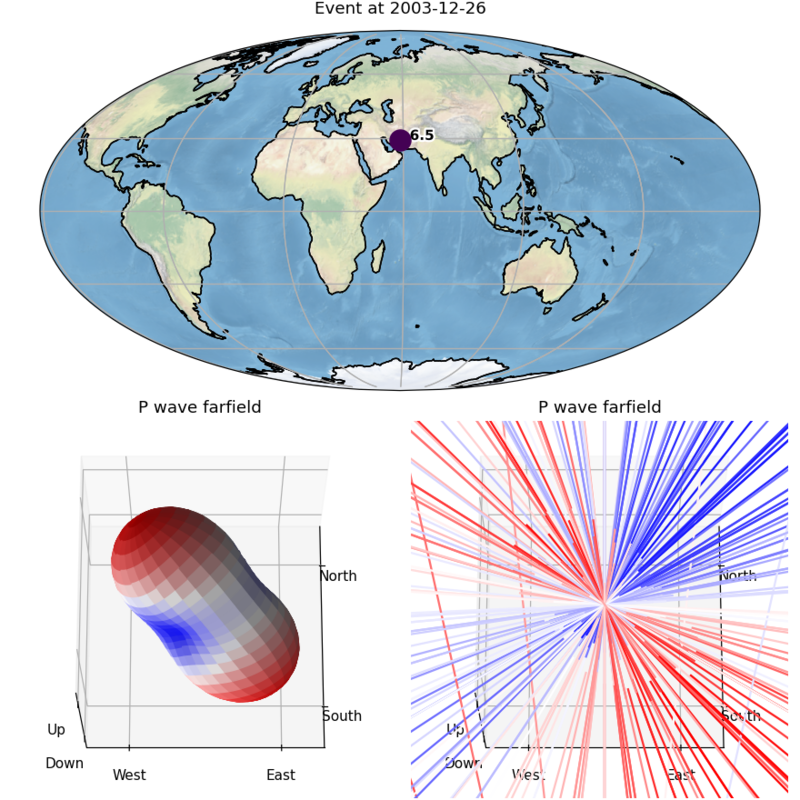 Default plot includes an orthographic map plot, a beachball plot and plots of P/S farfield radiation patterns (preferred or first focal mechanism has to have a moment tensor set). Individual subplot parts and the setup of the grid of subplots (rows/columns) can be specified by using certain keywords, see kind parameter description.